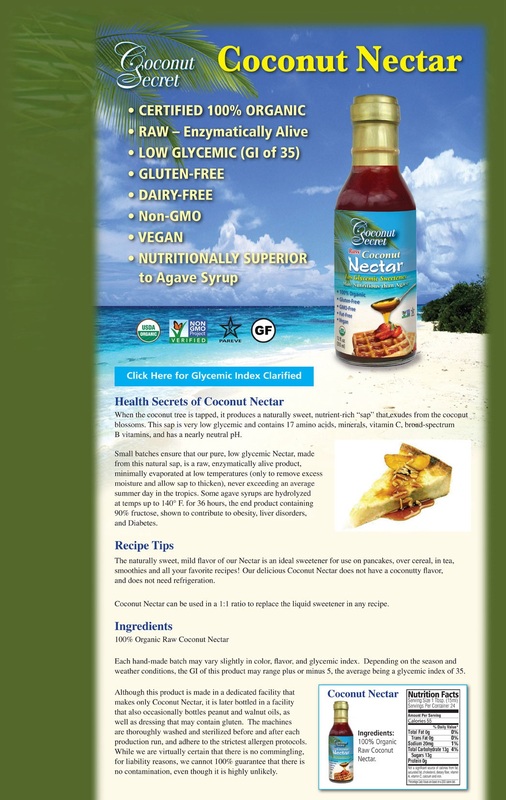 The naturally sweet, mild flavour of our nectar is an ideal sweetener for use on any raw or even cooked food. Try them on pancakes, cereal, in smoothies, salad dressings, desserts, to sweeten teas, or even better as a topping on our raw ice cream! The nectar does NOT have a coco-nutty flavour. Combine all ingredients in a bowl, or reserve the mint and sprinkle that on top as a garnish. a nori sheet or wrap, or use as a salsa. Very versatile, tongue-tickling, and refreshing! This is hands down my favourite raw sweetener so far. It is not too sweet and the taste has the quality of something nutritious. I would not hesitate to recommend this.